Sivaganga Voodoo Lily is a stemless herb, with corm 2.5 cm across. It is named after Sivaganga Forest where it was first found. Leaves are up to 20 x 0.6 cm, oblong, lanceshaped, pointed at tip; leaf-stalk up to 15 cm long, sheathing at the base. 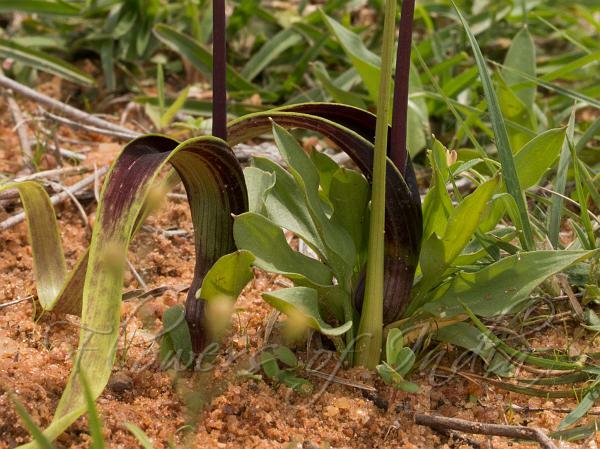 Spadix is up to 25 cm long, upright, 2 cm at the broadest part. Spathe with narrow basal part, tip purplish. Female flowers are in a ring at the base, obovoid; neuter flowers present between the male and female flowers subulate, upper ones shorter than the basal, male flowers dense. 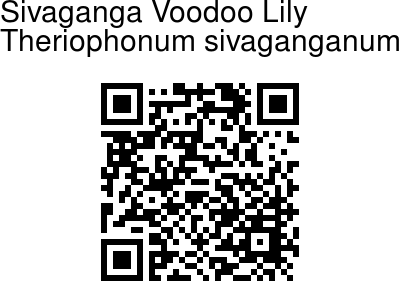 Sivaganga Voodoo Lily is found in Peninsular India, known only from South Tamil Nadu. Flowering: November-January.